First, it is important to know that fibromyalgia is characterized by wide-spread muscle pain and specific tender areas of the body. However, it doesn't stop there, because fibromyalgia affects multiple systems of the body, including the nervous system, endocrine system, and the immune system. The brain and GI tract are often involved as well. You may often hear that Fibromyalgia is the result of "over active" nerves. Trigger points can also exacerbate symptoms in fibromyalgia by their presence in and around muscles and connective tissue. The endocrine system can become challenged due to the stress on thyroid and adrenal glands. Fibromyalgia is not what you see depicted in TV commercials. These ads and commercials do not even begin to accurately depict the complexity of fibromyalgia. They cannot, because if they did, they wouldn't be able to promote their medications for it. So in a sense, they are simplifying their portrayal of fibromyalgia in order to continue to sell medications for fibromyalgia. No, living with fibro is not as easy or simple as taking a pill and getting on with your life. In fact, many of us have severe reactions to medications and the side effects only exacerbate symptoms already present. 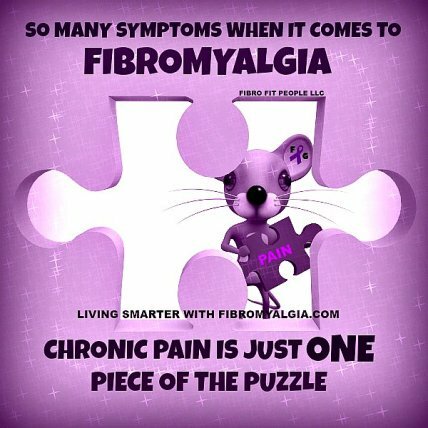 Fibromyalgia is not muscle strain in one area of the body from "over doing"
We do not have fibro in just one area of the body. Yes, I have heard it before. People self-diagnose and say they have fibro in their legs or shoulders or wherever. No, it doesn't work like that. For instance, many people can have trigger points around muscles and connective tissue, and these can become activated through a stress or strain. But with fibromyalgia, we have a combination of tender areas, trigger point areas and symptoms in multiple systems. So even a "soft trauma" can activate the nervous system in fibro, unlike other conditions. Some people consider depression, anxiety, and other mental illnesses a direct symptom of the condition that is just as real as the pain. It’s more likely a consequence of the illness because living with fibromyalgia is stressful. Too often, symptoms in fibromyalgia can be "activated" from external sources that we are not always in control of. This might lead to a few hours of increased pain or to an extended flare, lasting days or weeks. The good and the bad. You feel good when you are not diagnosed with a life threatening illness. Other testing comes up negative. However, you can feel just as bad when the doctor looks at you like everything is fine. Why don't you feel fine? You know that something is not right. This is often the beginning of the journey. You will work with your doctor where you need to, but you will also know that there will be areas of your health that you need to take into your own hands. 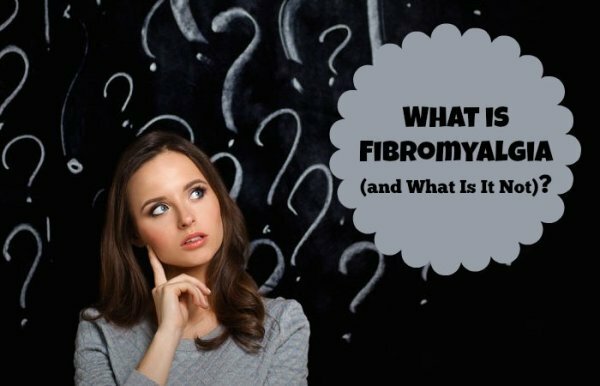 Home > Fibromyalgia Symptoms > What is Fibromyalgia (and What Is It Not)?